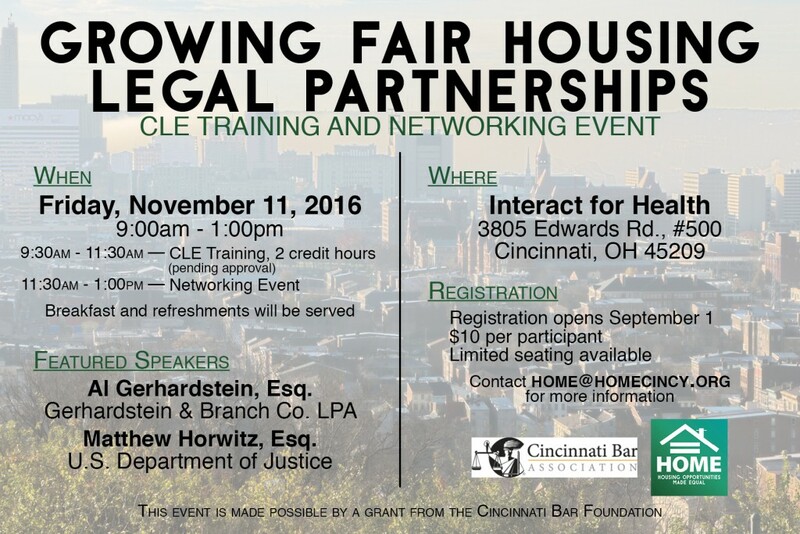 Growing Fair Housing Legal Partnerships is a two-part event—a CLE training and a networking session. 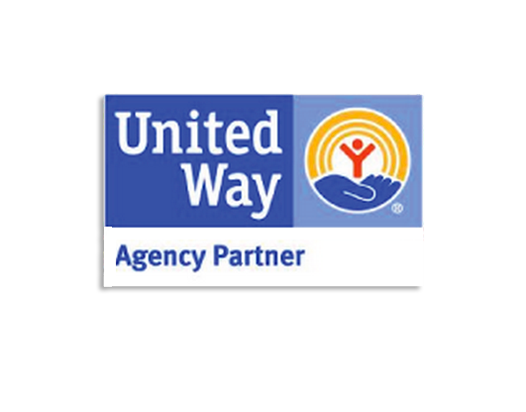 This event will educate attorneys about how to handle a fair housing case and connect them to social service agencies working with the at-risk population. The training is a continuing legal education (CLE) program, approved by Ohio, Kentucky, and Indiana for two (2) regular credit hours. A networking session will immediately follow the CLE training. Doors will open at 8:45. A continental breakfast will be provided before the start of the CLE training at 9:30. Registration is required and is offered at only $10 per participant. Please contact us at home@homecincy.org or 513-721-4663 for questions or more information.